Looking forward to DJing the after-party for On Point! in Montreal! I will also be teaching a workshop on Friday the day before the jam! Let’s go! 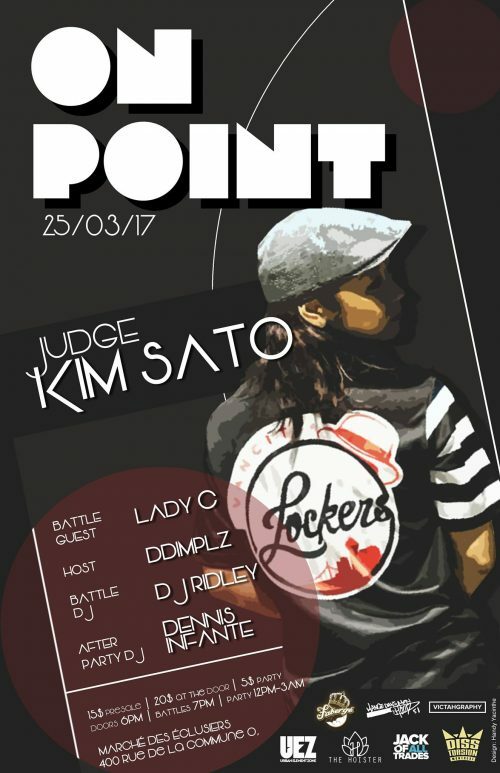 Being the only annual Locking event in Canada, “On Point!” serves as an outlet for Lockers across Canada to gather and share their passion for this art. Last year, we had invited Lounes (Team Rocket/France), Natasha Jean-Bart “Tash” (Flowrock/Montreal/Las Vegas) & Voyage Funktastique (Montreal); the 3rd edition of “On Point!” will have more surprises and features to further celebrate the growth of the Locking community in Canada. Remember the date – March 25th is ON POINT! After battles & until 3am – After-Party!